A few weeks ago I received a surprise package with a little card inside that read “I was thinking of you when I concocted this balm”. 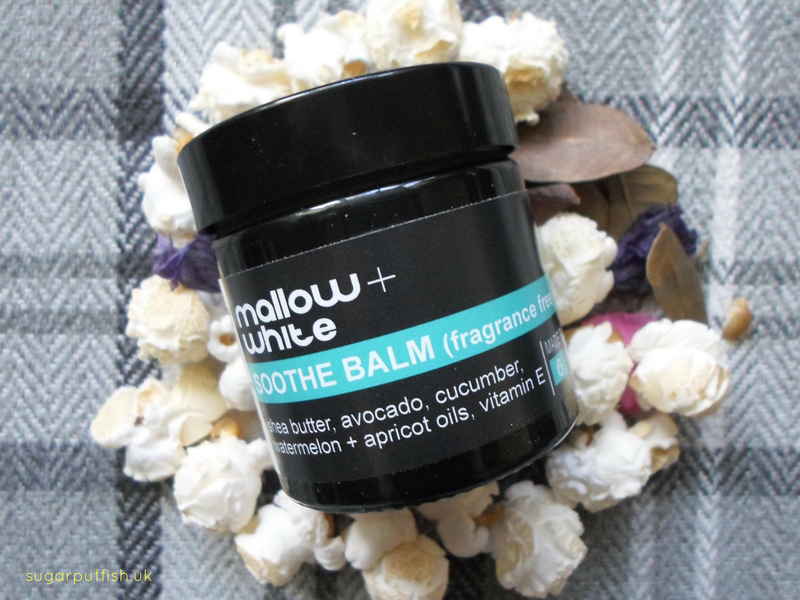 I was not only extremely honour but also delighted that Mallow & White had sent me their Soothe Balm (fragrance free) to test out. For anyone new to Mallow & White they make skincare products based around the ethos of six ingredients or less. They demonstrate perfectly how skincare doesn’t have to be overly complicated. Often ingredients lists can be lengthy, even with natural brands and I've always believed simple is best. When people speak of skin issues the first thing I say is “strip back your routine”. I feel many people complicate their skincare and stress their skin out by overloading it with too many ingredients and products. I’m already a huge fan of the Soothe Cleansing Oil so it comes as no surprise that the Soothe Balm has been an instant hit. This balm is fragrance free but thanks to a thoughtful formulation it has a wonderful aroma of cucumber. It’s an absolute delight and I congratulate anyone who creates products that stand out in this way. A large part of my skincare routine is now free from essential oils so therefore free of any scent so when I can re-introduce aroma in this clever way it's an instant hit for me. It just goes to show how we don't need artificial fragrances and whilst essential oils have their own benefits they don't have to be a included to every product. Aside from cucumber the Soothe balm also contains shea butter, avocado, watermelon, apricot and vitamin E. It has a super rich, thick and buttery texture. A little goes a long way and it’s perfect for dry patches of skin anywhere on the body. I’ve mentioned a million times over the years how flaky my legs get over winter and Soothe balm is definitely an intensive fix. This is a product I like to use after a shower and just before bed as it needs time to sink in and work its magic. I highly recommend Mallow & White, it really is simplicity at its very best.